Although April may seem far away from our memories, for those who were affected by xenophobia violence, fear and uncertainty remains. A small group of just over 100 non South Africans are still at the Chatsworth camp, which will shut down this coming Tuesday. Those at the camps have been offered packages, with places to rent. Many Zimbabweans, Malawians, and Mozambicans have returned to their home countries. But for those from DR Congo, Burundi, Nigeria, and other African countries, there were not many options besides staying in South Africa because of ongoing violence in their home countries. As a result, CAST, Zoe-Life, Domino Foundation, Glenridge Church, and Tearfund have come together to address issues of social cohesion. CAST has offered to use Paradigm Shift business training materials as a way to link non South Africans and South Africans in income generating projects, as well as empowering non South Africans to use the skills and qualifications they already possess. CAST has joined in the ongoing “Durban Dialogue” with these other local partner organisations about diversity and integration in the communities, churches, and schools. 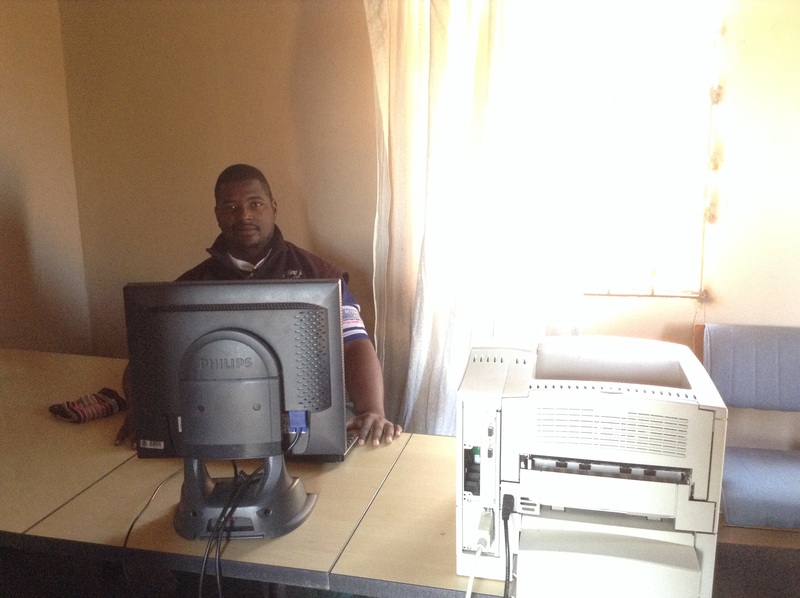 CAST also continues to work with Refugee Social Services, assisting with data capturing of those who were displaced. CAST will also follow up with a vulnerability assessment to find the most vulnerable among those displaced who meet criteria for further packages, while also looking for specific needs in this population. This vulnerability assessment will take a look at work, accommodation, family size, schooling, assistance accessed, disabilities, and health needs. CAST’s goal is to first meet the physical needs of those displaced. Afterwards CAST would like to focus on resilience and family strengthening. CAST would like to thank everyone who has played a part in the xenophobia relief across Durban. There is still much work to be done, especially in building trust among the foreign and South African communities. Please be in prayer that non South Africans and South Africans will bond over commonalities, especially among issues of faith. 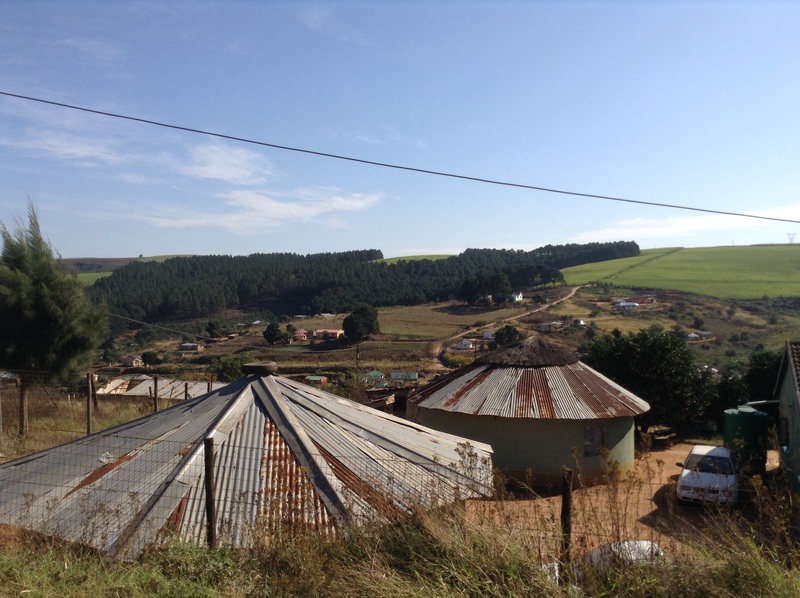 A few weeks ago, we heard from Ostrich, CAST’s Sport & Youth Development Intern in Appelsbosch. 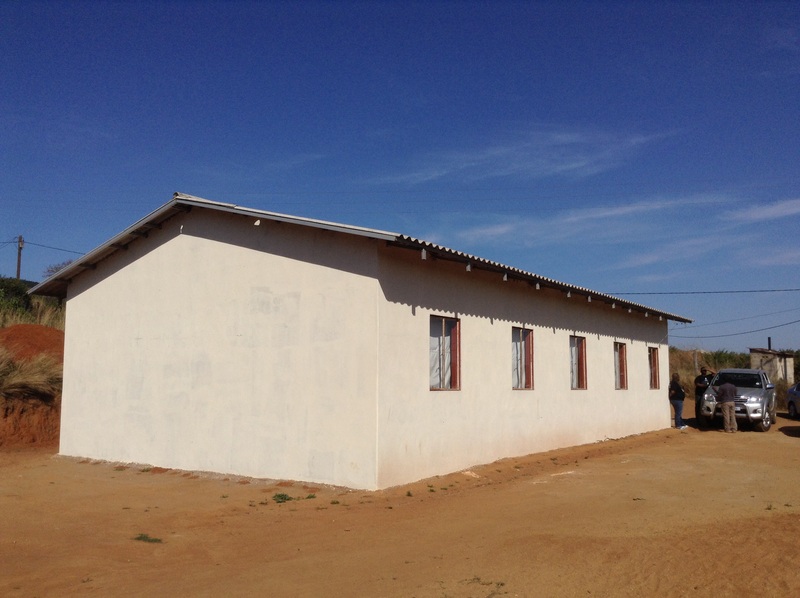 Since that last update, the outside painting of Appelsbosch Baptist Church has been finished, and the connecting CAST Community Centre Office has been completed as well. Appelsbosch community members now have a formal place to go to access CAST services. In regards to Youth Development in this community, Ostrich organised 38 children from Noodsberg Primary School for a development rugby team. For the older guys, Ostrich has put together a district team for 23 players from Appelsbosch, Noodsberg, and Chibini. They recently played in a local tournament and won. During the school holidays, the Vikings Rugby Academy from Norwegian Settlers Church will be doing a coaching clinic for the rugby teams in Appelsbosch. In our other rural communities, Noodsberg Baptist Church and Chibini Baptist Church will be hosting a Fun Run/Walk this weekend. There will be a 5K Walk and Run, as well as 10K and 20K Runs. Medals will be awarded for winners. 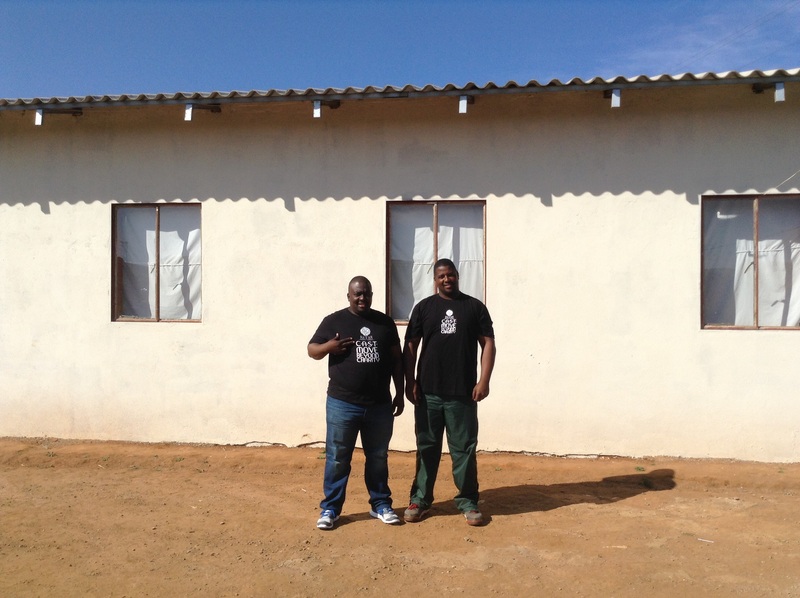 Sibu’s heart for the boys in his community is evident. Growing up without a mom, Sibu is able to identify with many of the boys in Noodsberg who don’t have a parent actively present in their lives. Originally from Tongaat, Sibu ended up in Noodsberg fifteen years ago after he became very sick. A gogo took him in and after Sibu recovered, the gogo saw Sibu’s potential for farming and encouraged him to pursue growing mealies. When CAST brought Paradigm Shift to Noodsberg, Sibu was quick to join. It was at business forum that Sibu learned all about networking, which motivated him to ask Bongani, CAST’s Noodsberg Area Coordinator, about volunteering with the boys soccer team. True to his word, Sibu began training with the boys every weekday. 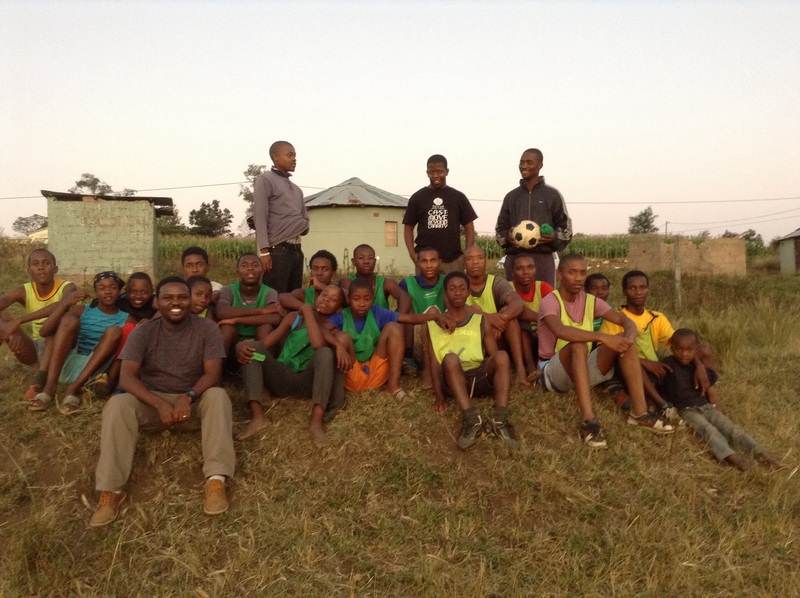 He coaches a large group of boys, ranging from 13-23 years old. They train on a very small, informal pitch on the side of a field. The boys barely have enough room to run, but they have come to really enjoy being part of a team and having a consistent coach. 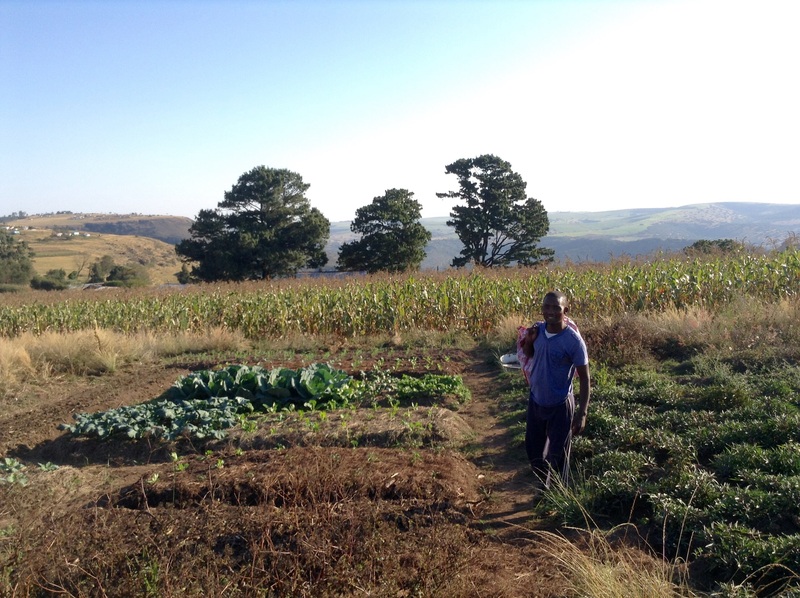 Sibu also has a desire to give back to his boys by teaching them how to farm. He wants them to not only be part of a team, but also develop a life skill they can use in the future. A year ago, CAST started our very first sports team for girls. This initial tennis team in KwaDabeka has led to another girls basketball team in that community, as well as a girls netball team in Chibini. One of the challenges CAST’s Youth Development Department has faced is finding female coaches for these teams. After posting a notice in the Westville Baptist Church bulletin for a tennis coach, CAST finally heard from a community member who was interested. Jackie first approached CAST after hearing about the coaching opportunity from one of her friends who attends Westville Baptist Church. 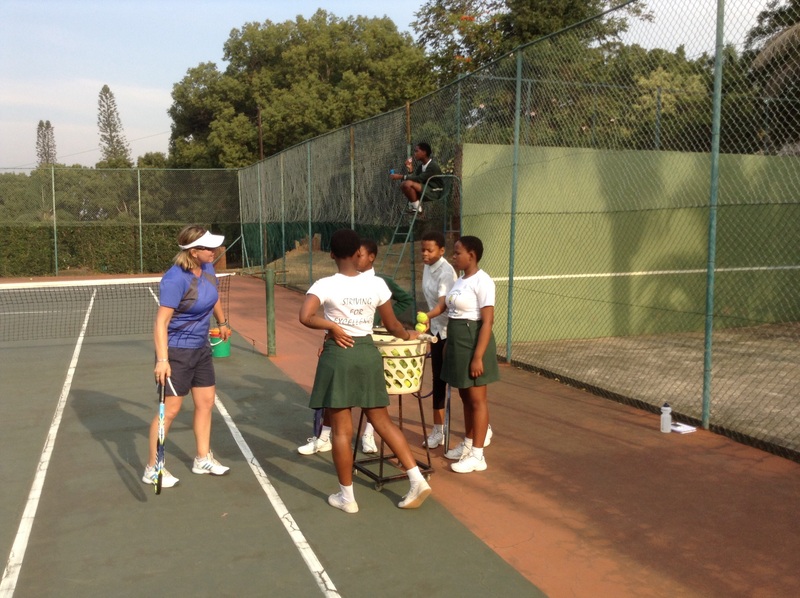 Interested in development work, Jackie was happy to utilize her experience in tennis. 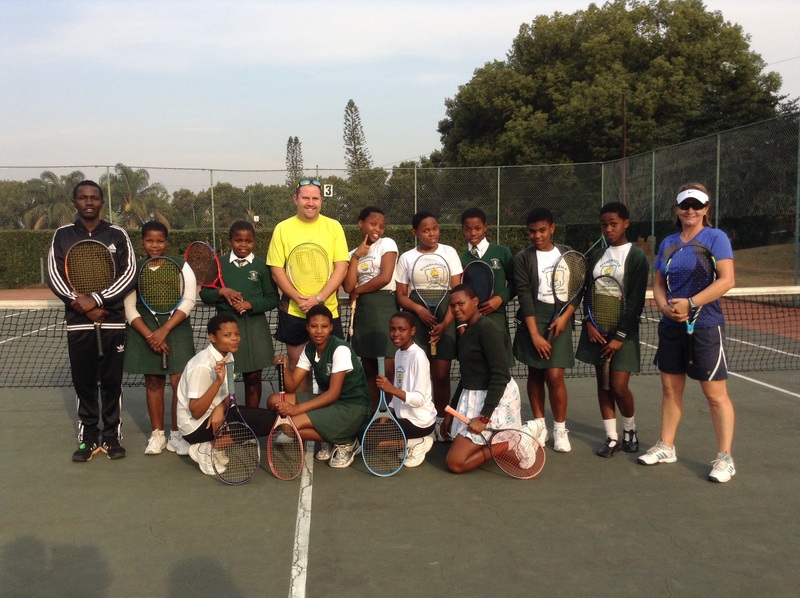 Under the direction of a new coach, the girls have grown in their tennis skills. CAST relies on volunteers like Sibu and Jackie, who are passionate about reaching out to youth in the community. Without these volunteers, who consistently give of their time each week, CAST would be unable to run our youth programmes and offer sports opportunities to the youth. All of our programmes at CAST are “grassroot” by nature, being run by ordinary people, for ordinary people, but in ways that bring extraordinary results. CAST is still looking for a girls basketball coach in KwaDabeka. If you are interested in coaching, please contact George Mwaura at george@cast.org.za or 0795967364. In addition, this coming Tuesday, 16 June, CAST will be hosting a Youth Day Celebration at KwaDabeka Baptist Church from 10am-2pm. Please feel free to join us as we celebrate the youth of KwaDabeka! Most people don’t know that Lydia is sick. 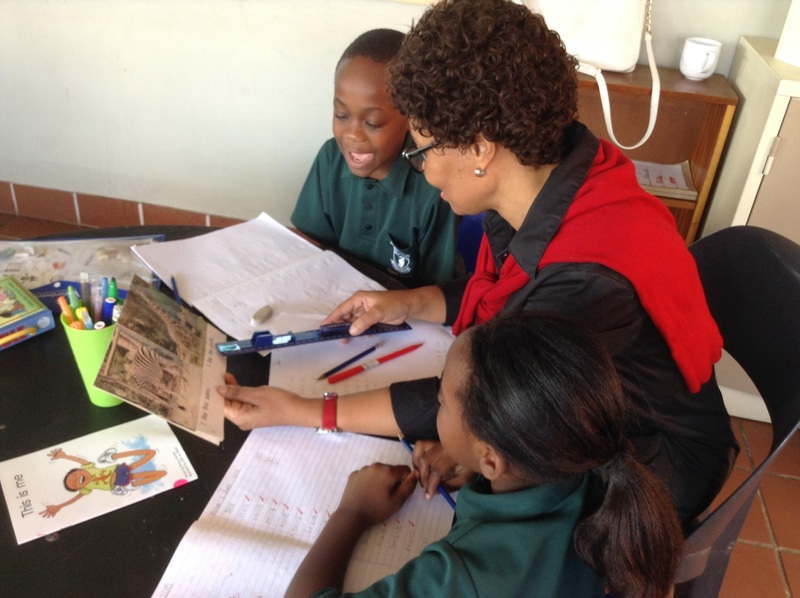 A bright, cheerful CAST volunteer who loves to look smart, Lydia faithfully comes to CAST’s Wordworks Literacy Programme twice a week to assist Addington Primary School learners with basic reading and writing skills. Lydia passes on her joy to the learners through her contagious smile. However, her smile and laughter hides a world of physical pain that she has lived with since 2006 when she was diagnosed with cancer. In fact, Lydia first connected with CAST through a friend in the Parklands cancer ward. It was through this friend that she met Janine Pepper, CAST’s Community Development Manager. At the time, Lydia had lost her job as a Forensic Report Analyst because she was too sick to go to work. A family friend was providing for her medical aid, but Lydia battled to pay for rent, electricity, and food. As a social worker, Janine encouraged Lydia to access a disability grant to cover some of her expenses, as well as monthly food parcels from CAST. During this time Lydia had received eviction notices and was in court fighting to stay in her flat. With Janine’s assistance from CAST, Lydia was able to secure enough finances to pay for her rent. Then just when things were looking better, Lydia hit rock bottom when she came home to her flat building and found all her belongings thrown out in the street. Despite paying her rent in full, Lydia was unjustly thrown out of her flat. Eventually with the help of Janine, Lydia was able to move back into her flat. Wanting to give back to the community, Lydia was introduced to the Wordworks Programme by Yasmin Adams, CAST’s Inner City Area Coordinator. She now actively tutors several learners struggling with basic literacy and language skills. In the Literacy Programme, Lydia has found a purpose. All of CAST’s programmes are grassroot by nature, being run by ordinary people, for ordinary people, but in ways that bring extraordinary results. Many of CAST’s volunteers are themselves CAST food parcel recipients, business forum participants, sports team members, or counselling clients. CAST’s goal is to give a hand up, not a hand out. Our heart is to mobilise the local church to reach out with practical compassion, to empower and transform lost and hurting communities. By empowering people to transform their own communities, we believe that the Kingdom of God will be advanced.